We are one of the leading manufacturers of T-Shirt Type Printed Carry Bags that are made using best quality polyethylene. 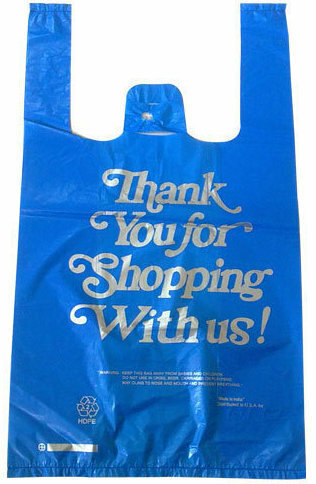 These Bags are manufactured using advanced techniques in production to ensure they are highly durable. The products we manufacture are widely used by small shopkeepers, grocery shops and chain stores to carry heavy and bulky products. We offer an attractive range of Decorative T-Shirt Type Carry Bags that are made using the premium quality raw material. 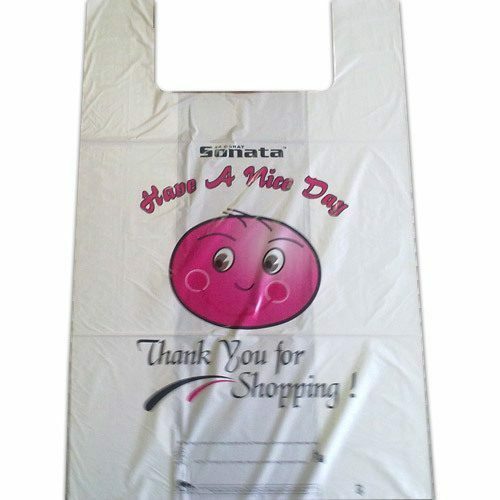 Available in various colors and sizes, these bags are used for carrying Fruit vegetables and different type of product. Our range is widely demanded by our clients, owing to their features of weight and high load-bearing capacity. 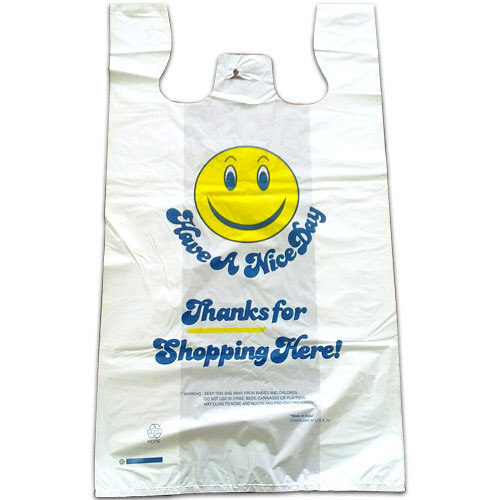 We bring to our clients an assortment of T-Shirt Type Plastic Carry Bags that are available in various colors and sizes. We hold expertise in providing T-Shirt Type Carry Bags that are made from high-density polyethylene. These are usually used by small shopkeepers, grocery shops, and chain stores to carry heavy and bulky products. T-shirt Type Printed Carry Bags provided by us are available in different colors and sizes in accordance with the client's requirements. We are specialized in manufacturing a wide range of T-Shirt Type Printed Carry Bag that is widely used in various segments such as garments, food, grocery, fruit, vegetable market and others. Durable and reliable, these bags are available in various sizes and colors to meet diverse needs of clients. Further our range is available in customized specifications and at most competitive prices. 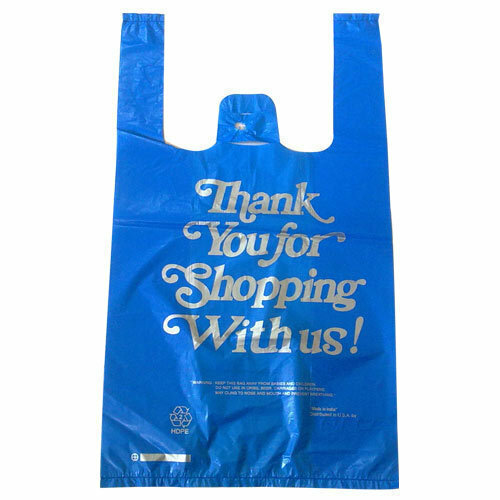 Our T-Shirt Printed Plastic Carry Bags are available in any size, micron, and color as per the requirement of our clients. It is made from 100% Virgin & Food Grade Material. They have soft and easy handles that provide complete ease in storing and carrying any kind of goods or products without making the carrier tiresome. We bring to our clients an assortment of Plastic T-Shirt Type Carry Bags that are available in various colors and sizes. 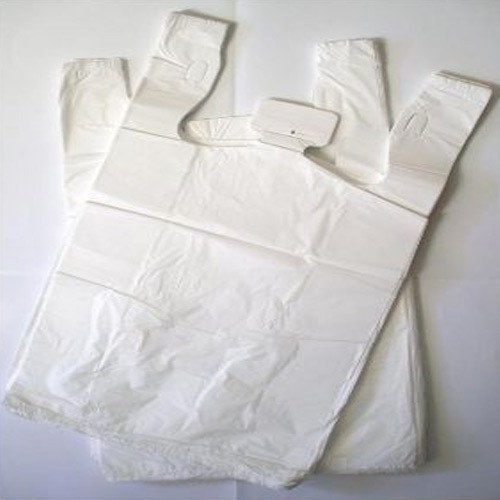 Made from graded raw material these plastic bags are high on durability and have an excellent load-bearing capacity. Our range is quality tested as per relevant standards and can also be customized as per client's requirements. We can also print client's logo and company as per client's wish. We are engaged in manufacturing a wide range of Printed T-Shirt Type Carry Bags that are widely used in the Grocery market, the superstore for carrying fruit, vegetables, and food. Our range is available in different designs, shapes, sizes, and colors to meet the diverse needs of the clients. High on reliability and durability, these bags are also quality tested to match the international standards. With the support of our deft team of professionals, we are capable to manufacture and export a broad array of T-Shirt Carry Bags to our clients. The offered bags are equipped with a relaxed handle, pockets, and a zipper to keep the goods safely inside. These bags are made-up utilizing quality polypropylene, threads, cloth, and materials. Our veteran experts stitch the bags assuring high durability and better design. 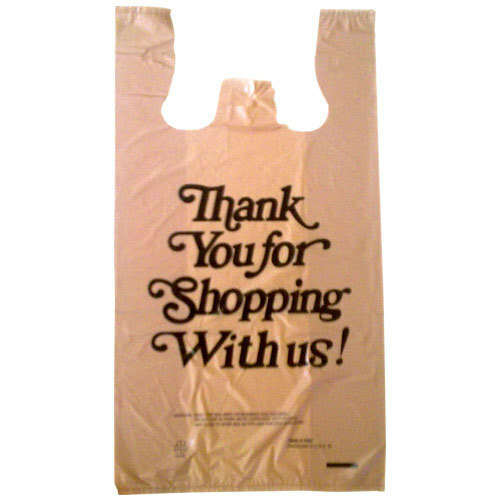 Also, clients can get these bags from us in bulk quantity. Leveraging on our in-house production unit, we are manufacturing and exporting a wide assortment of T-Shirt Type Plastic Carry Bags. Youngsters always require some funky and smart bags to carry books, goods, and vegetables. We are stitching a variety of T-Shirt bags for the clients using better fabric and strong threads. Furthermore, our veteran tailors ensure to provide accuracy, perfect finish, and robust stitches so that the bags last long. 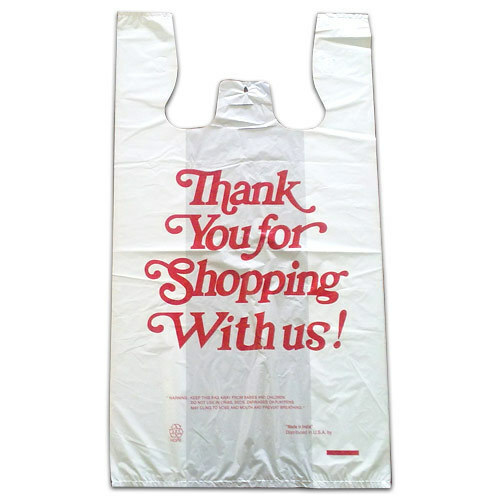 In addition to it, clients can opt to get these bags in bulk from us. Looking for “T-Shirt Type Printed Carry Bags”?